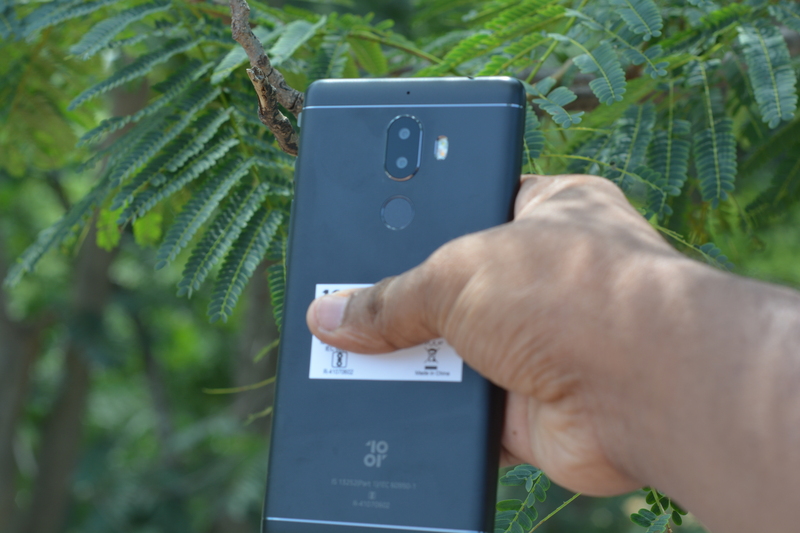 Tenor is a new smartphone brand in India and they debuted with the 10.Or E, a budget smartphone from the company. Recently, they launched their second smartphone to expand the portfolio. 10.Or G, is a mid range smartphone from Tenor. In this article, we will answer the top 10 frequently asked questions about the smartphone. 1. Does it support VoLTE? Yes, 10.Or G smartphone supports VoLTE and we have tested it with Jio 4G. The call quality is excellent and we did not face any issues. 2. Is there support for USB OTG? Sadly, 10.Or G does not have support for USB OTG. We checked with OTG Troubleshooter application and found out that there was no support for USB Host. We hope that the company will roll out an OTA update to enable it. 3. Does it have a front flash? Yes. There is a dedicated front facing LED flash to aid in low light photography. 4. What is the protection for the display? 10.Or G’s display is a 2.5D glass and protected by Corning’s Gorilla Glass 3. No. There is no support for NFC. 6. Does it support Fast charging? The battery on this smartphone is 4000mAh and there is no support for Qualcomm Quick Charge. We tested it with a 12V 1.5A charger and the maximum output it gave was just 2A. The supplied charger in the box is a 2A charger and it charges the device in ~2 hrs 30 min. 7. What is powering the phone? 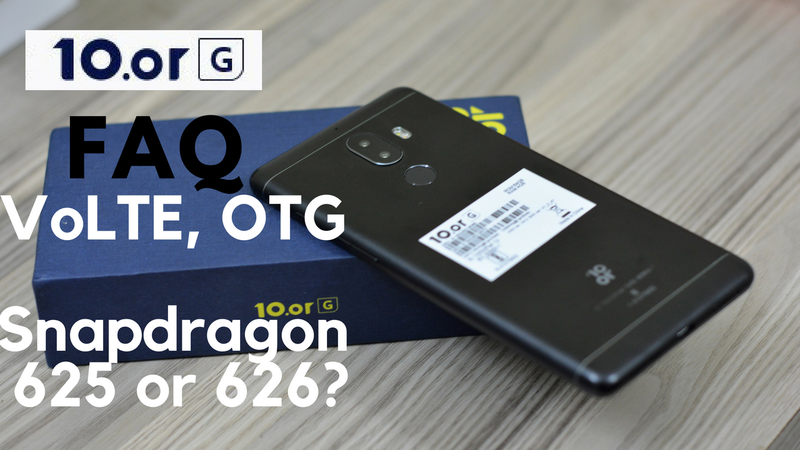 Snapdragon 626 or Snapdragon 625? 10.Or G is powered by Qualcomm Snapdragon 626 processor. It is an Octa Core processor clocked at 2.2 Ghz. Most of the benchmarking applications is reporting it as Snapdragon 625. But it is not true. Snapdragon 625 has the part number MSM 8953 and Snapdragon 626 has the part number MSM 8953 Pro. The maximum clock rate with Snapdragon 626 is 2.2 Ghz whereas in Snapdragon 625, it is 2 GHz. This smartphone has a clock speed of 2.2 Ghz which confirms that the processor is Qualcomm Snapdragon 626. 8. What are the sensors available on 10.Or G? Tenor hasn’t skimmed on the sensors and all the required sensors are present on this smartphone including Gyroscope. 9. Is there any heating issues? With regular usage there is no heating issues. We haven’t tested it with heavy gaming and graphic intensive tasks. We will update the page once we test it out. 10. Is there a dedicated MicroSD card slot? No. There is no dedicated MicroSD card slot. It is a Hybrid solution (Dual SIMs or Single SIM + MicroSD). We will be posting a dedicated camera review and the gaming review of 10.Or G. Stay tuned to our blog! How to upgrade tenor g to android 8.0? Does the tempered glass u suggested fits properly to the 2.5D edge of 10 or G?